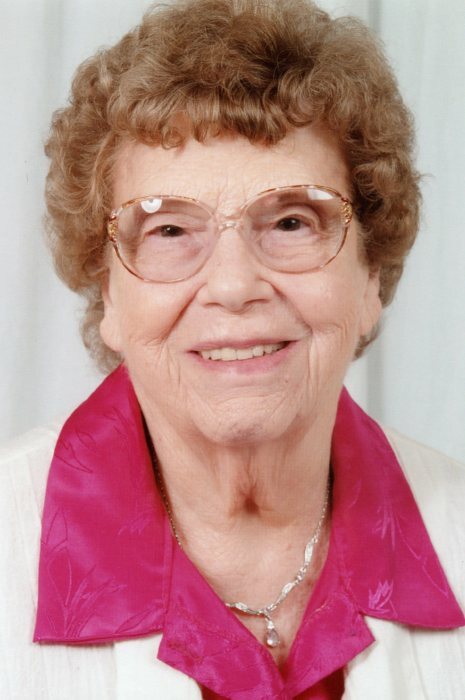 Marjorie L. Overton, 95, of Odon, Indiana, passed away peacefully, with her family at her side, on Saturday, March 23, 2019 at her home. She was born on August 9, 1923 in Scotland, Indiana to Clarence and Ola (Eaton) Dowden. Marjorie married Howard Overton. Marjorie was a homemaker and took joy in taking care of her home and family. She will be missed by all who knew and loved her. Family left to cherish Marjorie’s memory include: two daughters, Peggy Howell and Donna Conrad; one son, David Overton; granddaughter and caregiver the last few years, Lacey Holmes; sister, Lois Boruff; ten grandchildren; fourteen great-grandchildren and four great-great-grandchildren. Marjorie was preceded in death by: her parents; her husband, Howard Overton; daughter, Betty Jane Overton; grandchild, Tangela Conrad; brothers, George and Jimmy Dowden; sisters, Betty June Dowden, Thelma Daugherty and Bonnie Shaad. Private Family Graveside services will be held in Walnut Hill Cemetery in Odon with Pastor Debbie Payne officiating. There will be no public visitation. Memorial contributions may be sent to First Savings bank in Odon in Marjorie’s name for final funeral expenses. All arrangements have been entrusted to Meng Family Funeral Home in Odon, Indiana. Online condolences may be sent to www.mengfuneralhome.com.